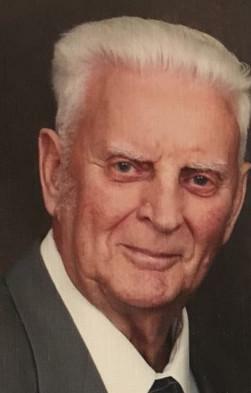 On Monday, February 17, 2019 William Picco (Bill), husband and father of two passed away at age 85. Bill was a loving husband to Clara Kennedy (deceased) and father to Michelle and Bernadette. Bill was a faithful church goer at St. Teresa’s Church. He enjoyed taking up Sunday collection, passing out bulletins and was a 4th degree member of the Knights of Columbus. He enjoyed word puzzles, games of darts and cards, visits with friends and family especially his five grandchildren. He enjoyed collecting coins and pins.He enjoyed work years with Gus Neville of Neville’s Trucking. Gus is a true “Pal” and continued his long friendship into Bill’s retirement years. He was known for his social ways and liked to introduce himself to everyone. He enjoyed his last years at Admiral’s Coast Retirement Center and his short stay at Pleasant View Towers. His is predeceased by parents Jane (Wiseman) and Gregory Picco, brother Gerald Wiseman, sister Mollie Reardon and Jean Dunne. He is survived by his daughters Michelle Follett husband Rick and their daughters Stacey and Julia. Bernadette Hiscock, Husband Tony and their sons Brian, Chad and Glen. He is also survived by sisters Marg Cody, Isabelle Follett and Bernadette Erikson (Paul). He also leaves behind nieces and nephews. Special thanks to niece Lorraine Ennis for her family support and visits. Resting at Caul’s Funeral Home, LeMarchant Road. Visitation on Wednesday from 12-9pm. Funeral Mass will take place at 9:30am on Thursday, February 21, 2019 from St. Teresa’s Church, Mundy Pond Road. Burial will take place at Holy Sepulchre Cemetery.